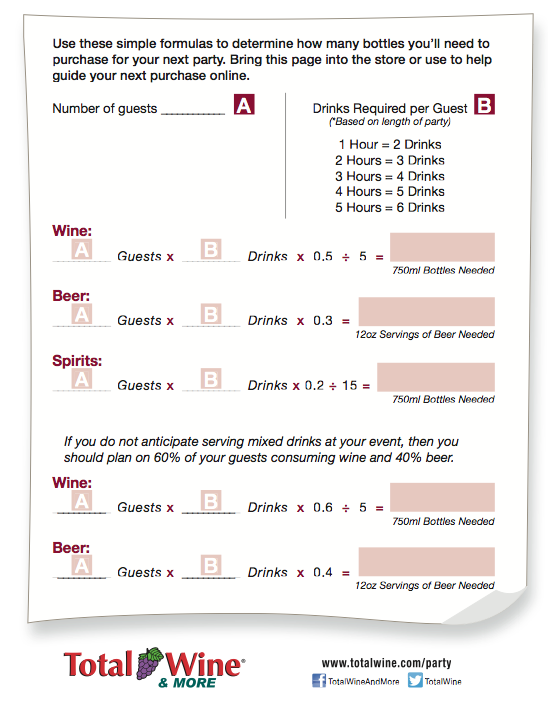 Posted in Budget Savers, Tips & Tricks	Tagged budget calculator, how much alcohol should I serve? Are your wedding Flowers In Season? 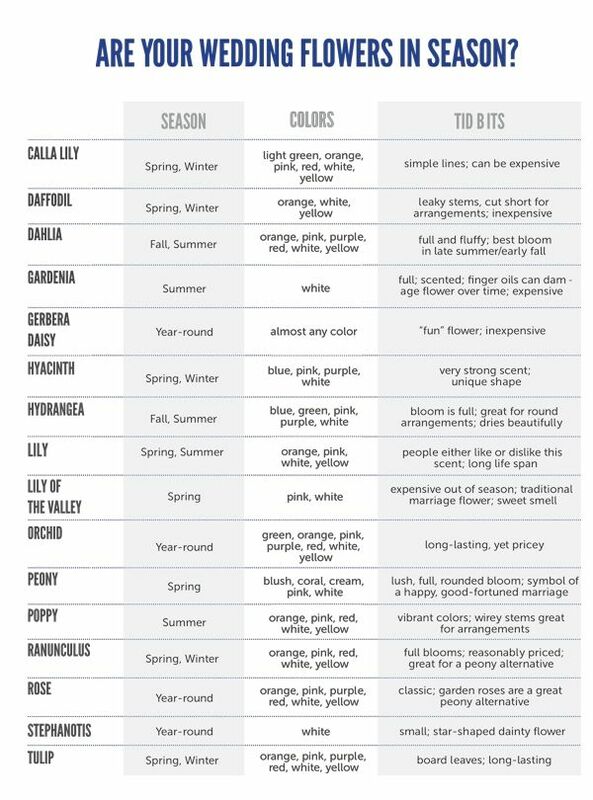 No matter what time of year you are getting married in, it’s important to know what flowers are in season. Some seasons can be trickier, but you don’t want to fall madly in love with a flower that will cost 10 times more than you are willing to pay. So know ahead of time what will be within your price range so you can set realistic expectations. Here is a guide to what will be in season for your wedding. Registering for gifts is one of the few non stressful things you will do as an engaged couple. Its fun and exciting to walk through the aisles and choose gifts that you will use in your lives together. I like to remind people that there are several types of gifts to add to your registry. 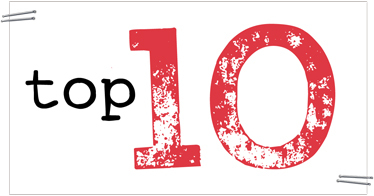 Type 1) Things you actually need and will use. People really want to give you gifts that you will actual use, not ones that will site in storage. Type 2) Things you plan to use. Like serving dishes for future holidays together, or camping gear for your first road trip. Type 3) Special occasion items. These are the items that you may rarely use but they will be used on special occasions and bring you back to your wedding day with memories of love. Its a fine line on choosing how many of each of these items should be included in your registry so here are some types to finding the right balance. 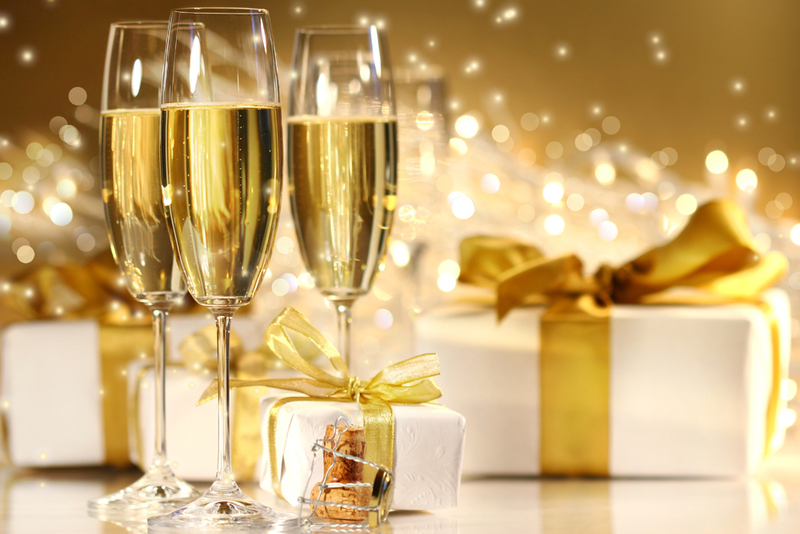 Even out the price range – Lets face it not everyone will spend the same amount of your wedding gift so you want to be sure to give people lots of options. Here is a general guideline. Register at more than one place – Its good to give people options. Especially if they are traveling or would prefer to shop online. I like to encourage people to register at 2-3 places. Any more than that and there choices at each store will be very limited. Here is a list of some great places to register. If you are outdoorsy or like to work on home improvement projects consider registering at Menards or a specialty shop. Amazon.com also has a great registry that allows guest to purchase the item anywhere and mark it off your registry as purchased. Send Personal Thank You Cards – No one looks forward to sending out hundreds of thank you cards. I get that. But these are people that are an important enough part of your life that you invited them to share in one of the biggest moments of your life. So thank them for that. Thank them for coming, for their gift, and their support. Make it personal. You don’t have to finish them all in one sittings. 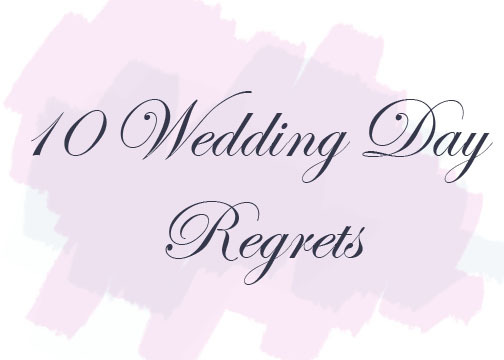 When I got married my husband and I split the list and each wrote 5-10 cards a night. It was painless and gave me the mental energy I needed to put thought into each card. Trust me its worth it! Have Fun! – Your getting married, enjoy it! Enjoy the overwhelming amount of love that you feel when all the people in your lives come together in one place. Enjoy registering and envisioning your lives 10 years from now using that pasta maker with your husband, or the cookie cutters you will use with your kids. Make some memories! Weather can be incredibly unpredictable. Planning ahead and being prepared for all the elements can be a make or break. If your a summer bride you know that heat can put a big damper on your wedding photos. 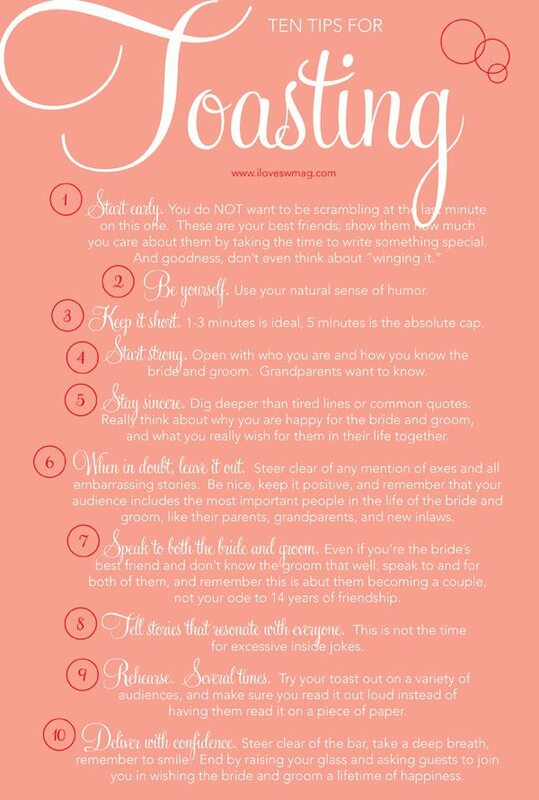 Here are some tips to keeping cool on your wedding day.